On Friday February 21st a strong high pressure settled off California creating a weather window. Seas along the coast from San Francisco to Cape Mendocino moderated to 4 feet or less. Winds dropped to less than 10 knots. It was our time to go north. Unfortunately the Wild Blue delivery crew was booked. So instead Alex began the trip single-handed. First stop was South Beach Harbor in downtown SF. At 9am Saturday, Alex cast off from our favorite Westpoint Harbor. Wild Blue rode the ebb tide up San Francisco Bay. It was fine going in pond-like water and he enjoyed South Beach Harbor moorage at the end of a short 2 hour cruise. South Beach Harbor is dwarfed by the City's skyline. The Harbor has great views of the Bay, the Bay Bridge and AT+T Park. Later in the day concert pianist Rudolph Budginas and family joined Alex from Santa Rosa. Pat and Alex know Rudy and Lilly from their days back in SLO Town before Rudolf became famous. On Sunday, Pat joined us after her evening of charity work at the SLO Symphony Ball. By 11am Wild Blue was motoring westbound towards the Golden Gate. The seas were flat inside and the San Francisco entrance bar was totally docile. We all enjoyed the Bay and its sunny weather with good company and returned to South Beach for refreshment and replenishment. Alcatraz is the big SF tourist destination. By Monday the ocean was still pancake flat so Alex motored the boat up the Coast while crew Pat paced along Highway 1. Turns out at the same time Pat crossed over the Golden Gate, Alex cruised outbound underneath at 7:04 am. Outward bound about to pass under the Golden Gate. Once outside, the water remained flat. The only hazards for this day were the 100's of crab traps crisscrossing our course. Except for an early northbound whale, our only other being interaction occurred when Pat waved to us as we entered Bodega Bay Harbor. Wild Blue was safely moored at Spud Point Marina as we wait for the next "fair" weather window. Approaching Point Reyes while Drakes Bay stays tame. Point Reyes lighthouse is pretty high up there. It seems even higher the closer you get. have first shot at all those Alaska salmon. We're fueled up and waiting for a weather window. We've been weather watching since February 10th. The "window" will take the form of a high pressure zone in the Pacific Ocean west of San Francisco. The high pressure will delay (hold off) the Pacific storms for several days, allowing the winds and seas to moderate, forming a "window". The higher the high pressure, the longer it will take to dissipate, and the longer the weather "window". So we watch a few sources of Pacific Ocean weather. One can watch the Pacific pressure charts from NOAA, and their forecast movements. We like it simple, so the text forecast for several days in the future, is for us. Our first hurdle leaving San Francisco is Cape Mendocino, which some refer to as the Cape Horn of the Pacific Coast. For that we watch the text coastal forecast for the Cape at zero to 10 miles offshore. A high pressure will show as reduced seas and low wind velocity (usually an easterly) forecast several days in advance. We've broken the 100-hour trip into ten legs of about 12 hours or less duration with sheltered stops. With good weather, we will run 24-7 combining multiple legs into long runs. The ten legs, duration and applicable text forecasts are shown below. Wintering in California? Well you really can't call it wintering, especially this Winter! With the lack of rain, constant sun and warm temps, Redwood City has really lived up to its moniker "Climate Best By Government Test". A joint study conducted by the governments of the US and Germany found the area centered on Redwood City tied for the world's best climate with the Canary Islands and North Africa's Mediterranean Coast. And, the study sure proved valid this winter season. Everybody dresses ship during California Christmas. We enjoyed our stay at Westpoint Harbor, a new private marina on the western shore of south San Francisco Bay. The amenities of dockside pump out, tanker truck fueling, free wifi, free ice and City close yet quiet location make Westpoint one of our favorite. The marina has friendly tenants, staff and a loquacious owner. Best of all, the moorage rate was half of the City marinas including those of the Pacific Northwest! With all the fair weather, you bet we took advantage, completing many projects during our 4-plus month stay. Here's a list of work completed. 1. The navigation computer disk drive was replaced with a solid-state drive from Crucial causing about a 5-fold speed increase. Golight Floodlights built with super bright LEDs light up the ocean ahead at night. 2. New headlights for night running were installed high on the mast to keep us from connecting with crab pots during our nighttime runs. These are Golight Floodlights built with super bright LEDs. 3. Running in the dark, even dimmed chart plotter displays reflect off the pilothouse ceiling. This impacts our night vision, so display hoods were fabricated from black foam board. Wow, this really is a big improvement! 4. The boat's teak was varnished while the hull and topsides were polished and waxed. All but two waste hoses were replaced with new. 5. The fresh water pump was relocated and rewired directly to the battery by-passing 60-feet of wire to the main circuit panel. This increased the water pressure from 35 to 55 pounds per square inch. 6. Last summer's Sitka fishing crew just got tired of hand-cranking up those heavy down-rigger balls each time a salmon was hooked, and then maybe lost. So they pitched in and purchased automatic down riggers which we installed. Three-carburetor BF-40 Honda outboard rebuild. 7. The tender boat's Honda outboard has been idling rough and dying. After research a carburetor cleaning was recommended. Rather than launch, haul, and trailer the boat to a service company, it was much easier and cheaper to do the mechanical work in-house. Thanks to several detailed YouTube videos, the carburetors were disassembled, cleaned, reassembled and installed with little difficulty. And the engine runs great! We also repaired the slow inflatable tube air leak, re-installed bow handle, and applied new name graphics to the tender. 8. Over the years, the boat has gotten used and even sometimes abused. Many gel coat and fiberglass chips, dings and dents make for a less than pristine appearance. So with abundant sunshine and warm temps of Redwood City, we mixed, dabbed, brushed and smoothed our way into a better looking boat. 9. The main and generator engine fluids and filters were changed out with new. This spring, a service mechanic will be employed to adjust the valve clearances, clean the heat exchanger, and flush and replace the coolant systems. The leaky stabilizer hydraulic tank cap housing was replaced and the tank is now completely "drip-less". 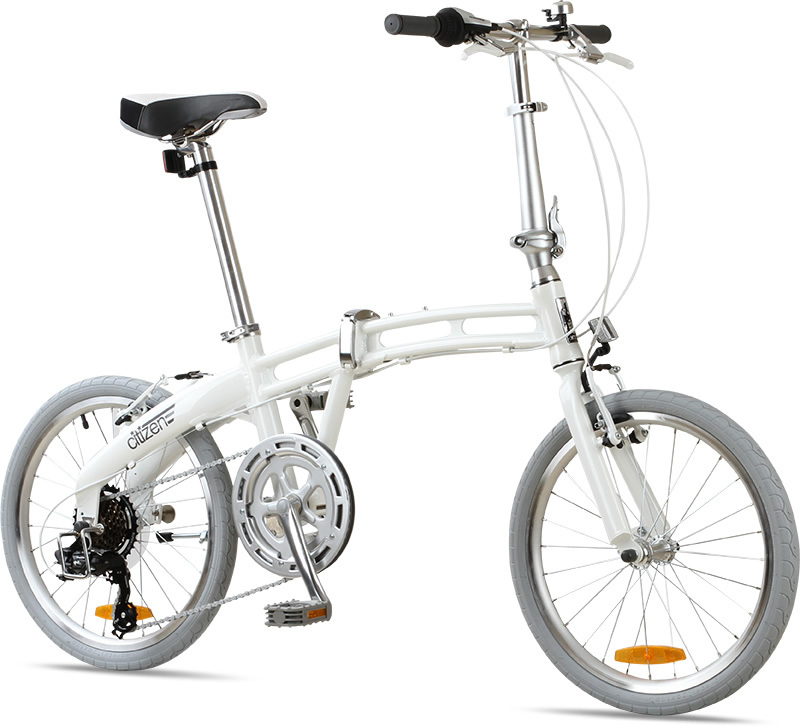 Two new Citizen folding bicycles now grace the lazerette. 10. For transportation when arriving at a city marina, two folding bicycles were added to the lazerette. We hope the bikes will magically call us for a ride, and exercise. 11. In the cockpit area, we added an 120V electrical outlet and replaced exterior corroded drawer and cabinet hardware. 12. We replaced miscellaneous items including a prawn trap, fender covers, life vests, and the Lifeline rescue system. We had a nice time with the boat located in our home state, however we miss the wilderness winter cruising of the Pacific Northwest. It's time to head back.